What is the cross? What is its purpose? Why must we constantly apply it in our lives? The cross is simply the tool that has been ordained by God to cause our nasty flesh to die. Our flesh is always what hinders His life from flowing through us. Self is always the problem. What exactly is “self”? Self is anything that is not of Christ. It's not just the bad things in our hearts; it's anything that has not been put through the fire of God. Everything about us must be purified until the bad is made good and our righteousness is is stripped away until only God's righteousness remains. The bad as well as the good has to die by way of the cross so that it can all be of Christ. The key word is “all.” Whether it's good or bad self, it's all self; and no self can please God. How much do you want the life of Christ in you? The amount of His life in you is measured by the amount you have died to yourself! The Bible says in Isaiah 64:6 (Amplified), “For we have all become like one who is unclean [ceremonially, like a leper], and all our righteousness (our best deeds of righteousness and justice) is like filthy rags or a polluted garment;...” Because it is easy for us to look at our good works and think they are of God, God reminds us that even our righteousness is filthy. Why is it filthy? After all, isn't righteousness what we want? Why does God say that He's not pleased with it? He isn't pleased with it because it is OUR righteousness and not His. He is only pleased in His Son Jesus Christ. The only way for Christ to be formed in you is for you to die to self! If the “good” self hasn't been crucified, it's absolutely NOT usable to God. Let the cross bring death to everything so the life of Christ can be seen in every area of you life! All areas of self are a hindrance to the life of Christ flowing through us. The cross is what removes the obstacles. John says in John 3:30, “He must increase, but I must decrease.” How is Christ going to increase in us? He will increase only as we decrease. What does it mean to decrease? How are we going to do that? “Decrease” means to grow progressively less, to lessen, to be reduced, and to dwindle. It speaks of a steady, ongoing work. When we got saved, we were not made perfect. Our sins were washed away, we entered into a new kingdom, we came into Christ, and we surrendered our lives to Him; but we still have flesh. The task of picking up the cross is an ongoing process. We must never neglect the cross! When we cease to pick up our cross, our flesh ceases to die and His life ceases to shine in our lives. The world's only hope is to see the life of Christ in us. But thank God there is a way to rid ourselves of our damnable self! The cross does not simply muffle self or suppress it. The cross puts it to a sharp, direct death! The cross, when used consistently, latches onto everything that's not like Christ and does not let go until the work is complete. Paul says in Galatians 2:20, “I am crucified with Christ: nevertheless I live; yet not I, but Christ liveth in me: and the life which I now live in the flesh I live by the faith of the Son of God, who loved me, and gave himself for me.” This is probably one of the most powerful scriptures ever written. How can Paul say, “...I live; yet not I...”? How is that possible? There are two lives we have to choose from. We are either living one or the other. There is no in-between. We are either living our life or Christ's life. Every time our flesh rises up, we have to make a choice to live for ourselves or for Christ. We must constantly die to all that we are in order to live His life. How do we die? We die by way of the cross. If you see somebody who calls themself a Christian and you see their flesh constantly flying, you can come to this conclusion: they are simply neglecting the cross. 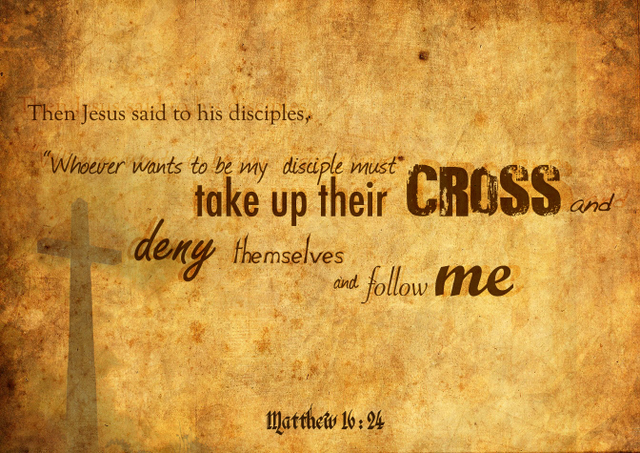 When the cross is neglected, we cease to go on with Christ, and immediately start movi ng backwards. There is no middle ground! There is no such thing as a “stand-still.” We are either becoming more like Christ or more like self. 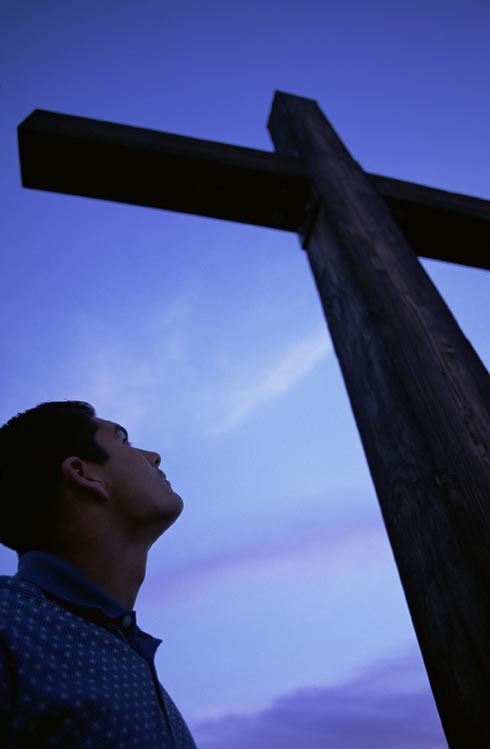 The cross is a very powerful tool that we have been given by God. Paul was able to say, “...yet not I...” because he constantly picked up His cross. Paul was not a “super saint” nor was he a “special” Christian. He simply chose to be alive to Christ and dead to self (Romans 6:11-14 Amplified). If Paul could choose to be dead to sin and alive to Christ, we can also! Dying to self is not hard, nor is it confusing. God, through he Holy Ghost, will let you know exactly how, where, and when to pick up your cross if you are open to hear Him. Not only will He show you the way, but He will also give you the grace (the will, the power, the desire, and the ability) to die to yourself if you are willing to choose the cross. The only thing we have to do is choose! The cross is a decisive choice. If we will choose the way of death to all that we are, (the good, the bad, and the ugly), we too will be able to say with Paul, “...yet not I...”!